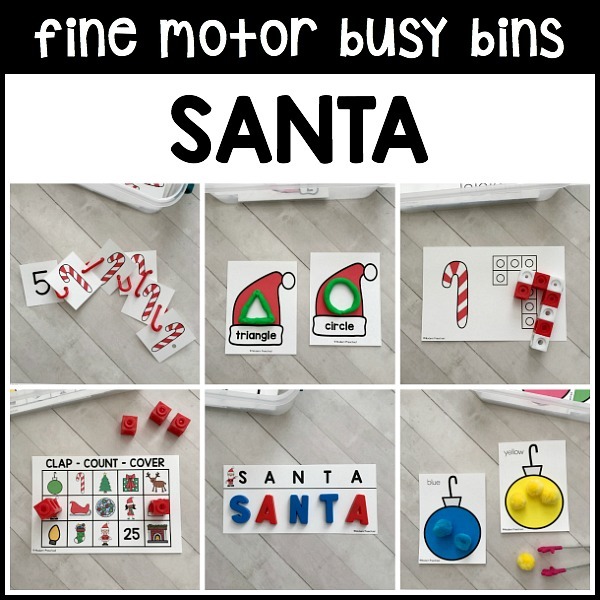 The Christmas season can be stressful, so let the Santa FINE MOTOR busy bins help you get through December! 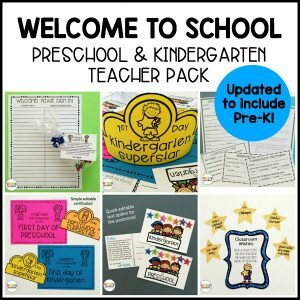 These busy bins allow you to add fine motor work to your schedule each day as your preschool, pre-k, and kindergarten students enter the room each day. The busy bins include 12 Santa and Christmas themed activities that all have a fine motor aspect to them. 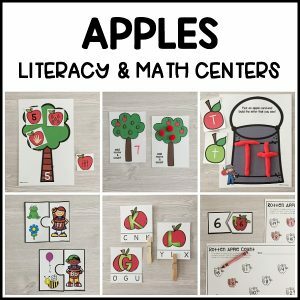 Strengthen fine motor muscles to get them ready to hold a pencil, use scissors confidently, and get those hands ready to form letters correctly! The busy bins are set up as completely independent morning work tub activities for pre-k. The busy bins are also perfect to use with younger preschoolers during circle and small group time. 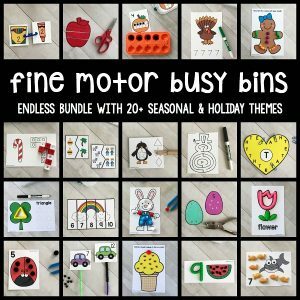 —-> The Santa fine motor busy bins are the 5th set in our ENDLESS Themed Fine Motor Busy Bins Bundle. Buy the bundle and save! 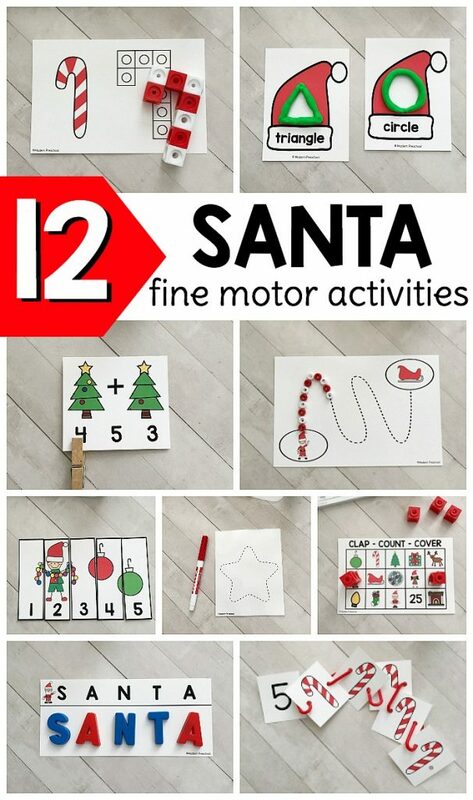 Read more about the SANTA fine motor busy bins included in this set. See examples of all activities in the photos above. 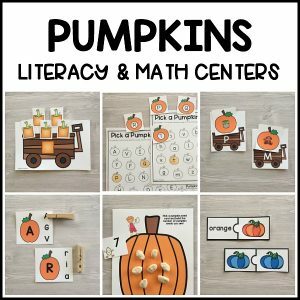 Print and prep the fine motor busy bins, and store them in small storage containers with lids (mine are from Walmart – some teachers use ziplock or buckets too). Switch out the 12 activities each time you switch themes. It couldn’t be more simple! *** This product is part of the Endless Themed Fine Motor Busy Bins Bundle. Snap Pictures – Build simple Christmas themed items with snap cubes. Ornament Sort – Use kid-friendly squeezers to sort pom poms on to colored ornaments. Candy Cane Chains – Connect the correct number of candy canes using chain links or pipe cleaners. Tracing Picture Cards – Trace the dotted lines to create Christmas themed pictures. More Presents – Add the correct number of presents to the sleigh by drawing squares or adding real mini presents. 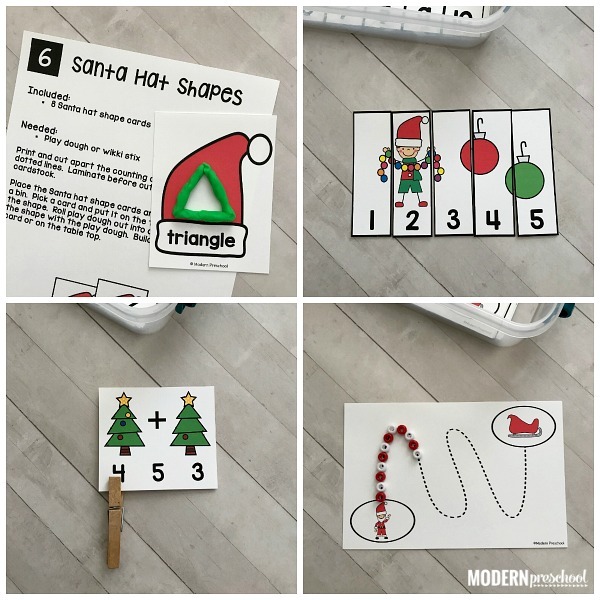 Santa Hat Shapes – Use play dough to form shapes on the shape cards. Clap – Count – Cover – Clap the syllables in the word in the picture, snap together the correct number of cubes (according to how many syllables), and cover the picture with those cubes. 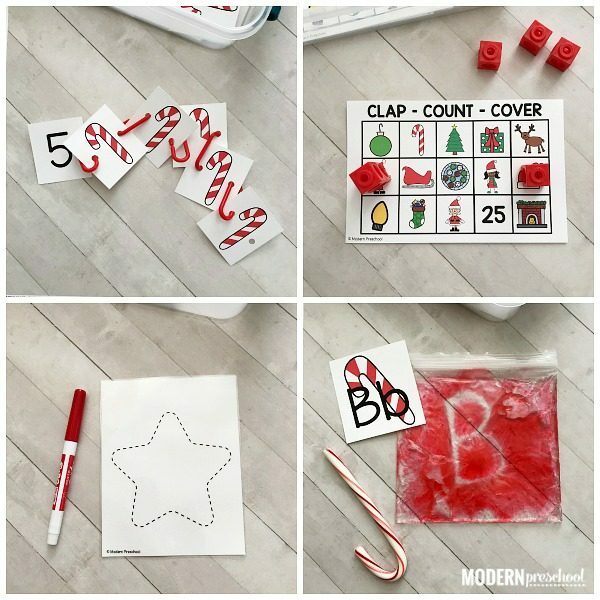 Candy Cane Letters – Use a squish bag (or other writing tray) and a candy cane to write uppercase and lowercase letters. 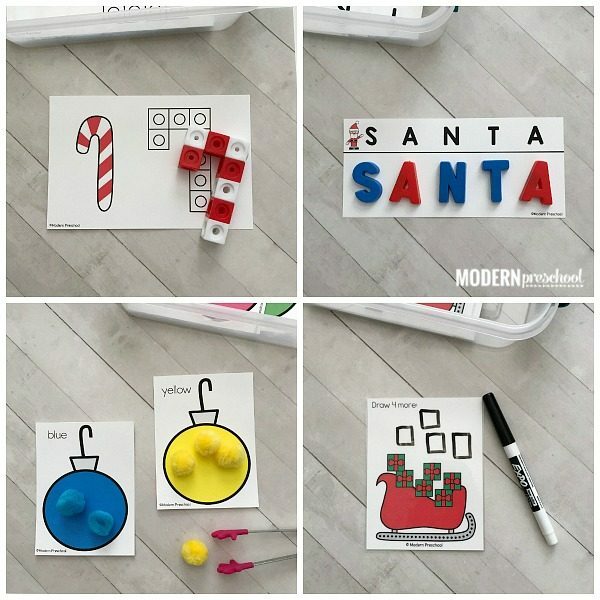 Magnet Words – Match letters in words with magnets or small letters to spell Christmas themed words. Ornament addition – Count and add the ornaments in the Christmas trees and clip the correct answer – no addition skills needed! Santa Path – Trace or build the path with beads, mini buttons, etc. to help Santa get back to his sleigh. Number Puzzles – Put the puzzles together to create mini Christmas scenes. 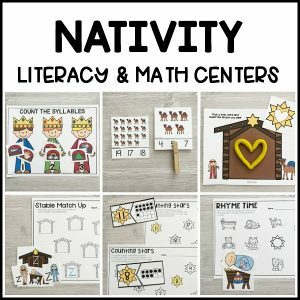 Our SANTA Literacy & Math centers complete the Santa themed set and are the PERFECT partner to these fine motor busy bins! *File updated 11/29/17 to include Clap-Count-Cover picture cards. Visit your account to download the newest version.